And yes I made up the word Filmovie. Combining “Films as Art” and “Movies as Business”… Combine 2 old things to get a new thing. Creativity. And so – Why do some memes (ideas, processes, products) spread further, in culture? `In cultural evolution there are no mechanisms equivalent to genes and chromosomes. Therefore a new idea is not automatically passed on to the next generation. Instructions for how to use fire, or the wheel or atomic energy are not built into the nervous systems of children born after such discoveries. Each child has to learn them again from the start. The analogy to genes in the evolution of culture are memes, or units of information we must learn if culture is to continue. 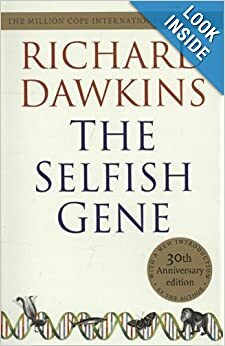 his influential work The Selfish Gene in 1976. Notice that this definition, though drawn from biology, says nothing special about organic molecules, nutrition, or even life. This maximally abstract definition of evolution by natural selection has been formulated in many roughly equivalent versions – see e.g. Lewontin 1980 and Brandon 1978 (both reprinted in Sober 1984b). `that all life evolves by the differential survival of replicating entities… The gene, the DNA molecule, happens to be the replicating entity which prevails on our own planet. There may be others. If there are, provided certain other conditions are met, they will almost inevitably tend to become the basis for an evolutionary process. `These new replicators are, roughly, ideas. Meme evolution is not just analogous to biological or genic evolution, according to Dawkins. It is not just a process that can be metaphorically described in these evolutionary idioms, but a phenomenon that obeys the laws of natural selection quite exactly. The theory of evolution by natural selection is neutral, he suggests, regarding the differences between memes and genes; these are just different types of replicators evolving in different media at different rates. And just as the genes for animals could not come into existence on this planet until the evolution of plants had paved the way (creating the oxygen-rich atmosphere and ready supply of convertible nutrients), so the evolution of memes could not get started until the evolution of animals had paved the way by creating a species – Homo sapiens – with brains that could provide shelter, and habits of communication that could provide transmission media, for memes. There is no denying that there is cultural evolution, in the Darwin-neutral sense that cultures change over time, accumulating and losing features, while also maintaining features from earlier ages. The history of the idea of say, crucifixion, or of a dome on squinches, or powered flight, is undeniably a history of transmission through various nongenetic media of a family of variations on a central theme. 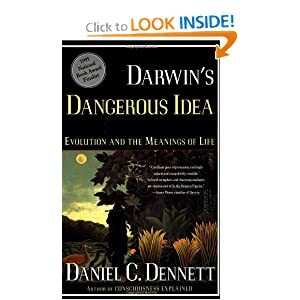 But whether such evolution is weakly or strongly analogous to, or parallel to, genetic evolution, the process that Darwinian theory explains so well, is an open question. In fact, it is many open questions. At one extreme, we may imagine, it could turn out that cultural evolution recapitulates all the features of genetic evolution: not only are there gene analogues (memes), but there are strict analogues of phenotypes, genotypes, sexual reproduction, sexual selection, DNA, RNA, codons, allopatric speciation, demes, genomic imprinting, and so forth – the whole edifice of biological theory perfectly mirrored in the medium of culture. You thought DNA-splicing was a scary technology? Wait till they start making meme implants in their laboratories! Not likely. So, on the one hand, I agree that porting the exact analogy from biology across to culture (i.e. : that ideas – memes – in culture work exactly like genes – DNA – in biology) is a problem. 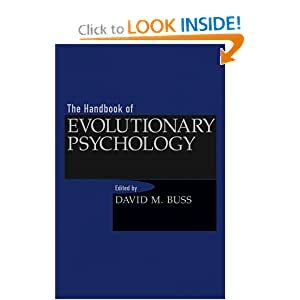 `Cosmic evolutionists identify some universal formal pattern of “evolution” or development, and they take biological evolution as a specific instance of that pattern. The second category of non-adaptationist evolutionists, evolutionary analogists, reverse this process. They take natural selection as a model for a process that applies to other phenomenal domains. Instances include Donald Campbell’s idea that all intellectual creativity can be conceived as a form of random variation and selective retention (1988); Thomas Kuhn’s notion that scientific disciplines speciate or branch into distinct and “incommensurable” species of knowledge (1991); Richard Dawkins’ theory of “memes” (1976, 1982); and Rabkin’s and Simon’s idea that cultural creations “evolve in the same way as do biological organisms, that is, as complex adaptive systems that succeed or fail according to their fitness to their environment” (2001, p. 45). So, I certainly believe that – as Carroll notes – memes (ideas, processes, products, novels, artworks, films) are inert; they do not contain `a set of instructions within them’ like DNA does, which, in biology builds an organism due to environmental interaction. On the other hand though, I currently am convinced by DK Simonton’s work, in developing DT Campbells BVSR model in creativity. Like Dennett and Dawkins have stated, there is an environment called `the memescape’ which is composed of – at its widest, 7 billion human minds. Ideas occur in (some of) these minds, in memory. When we read a novel or see a film, we have the ideas in the novel or film transferred into our consciousness. Now, some novels and movies are “instantly forgettable” (well, to a degree) and others `stick with us’. I do not mean by this that the entire novel or film stays in our head – as memory fades. But – some of the ideas from the movie (e.g. a character, a catchy line of dialog, a really memorable moment) might stay in mind a long time, and we might also tell others about it. This is a meme, spreading. (Of course, the people we tell might already know it, if they have: seen the movie, read the book, seen that documentary, etc). In `Creative thought as blind-variation and selective-retention: Combinatorial models of exceptional creativity’ (Simonton 2010), Simonton examines the development of the idea of BVSR (blind variation and selective retention) in exceptional creativity since publication of the classic 1960 article `Blind variation and selective retention in creative thought as in other knowledge processes’ (Campbell, DT 1960). `1. A blind-variation-and-selective-retention process is fundamental to all inductive achievements, to all genuine increases in knowledge, to all increases in fit of system to environment. 2. The many processes which shortcut a more full blind-variation-and-selective-retention process are in themselves inductive achievements, containing wisdom about the environment achieved originally by blind variation and selective retention. 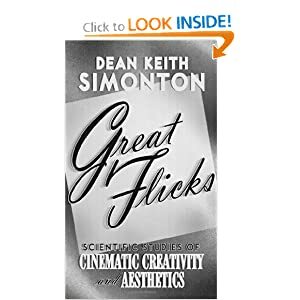 In that book, Simonton examines award-winners and critical successes in film. In these terms, The Top 20 RoI Films can be seen as exceptionally creative. Importantly, the variation (of memes) includes combinatorial creativity, or Koestler’s (1964) `bisociation’ – a writer combining two (pre-existing) memes; this can occur at the level of themes, genres, character/s, plot, dialog, style, visual style, and so forth, and any or all of these. 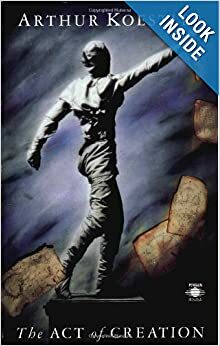 Though all top 20 RoI films are clear examples, one classic example is the use of the hero’s journey monomyth and the tropes of World War II in Star Wars (1977). I suggest that due to hybrid vigour, some memes (film story ideas, and indeed films) are inherently more viral. In terms of biopoetics, both genetic predispositions and memetic predispositions working together to appeal to universal human nature might explain the characteristic of virality in film story. 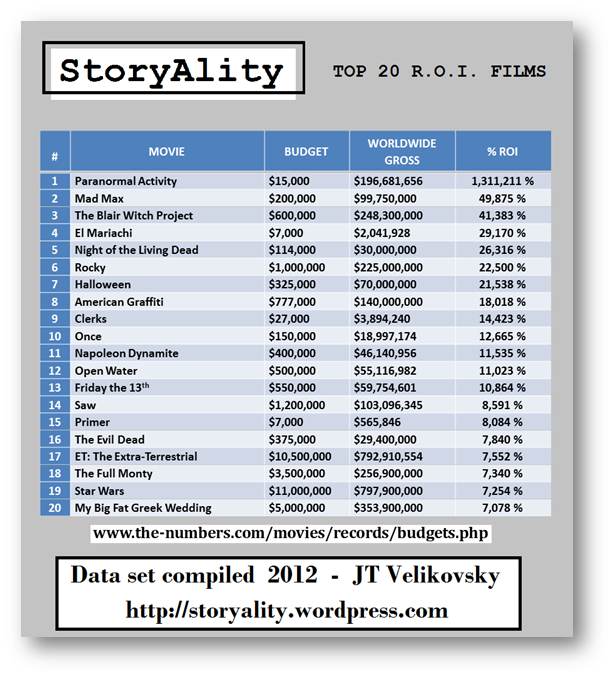 This process of cultural evolution therefore potentially explains the common elements in the top 20 RoI films. StoryAlity #47 – Why are some Screenplays/Films more `viral’ Memes? So, on the one hand – I agree with Carroll, there are subtle but fundamental differences in memes and genes; I do not think memes are “alive” or in any way have `the seeds of their own propagation within them’ in the way DNA does. So why do some memes (ideas, processes, products) spread further, in culture? In short, they solve problems better. A printing press (such as Gutenberg’s) solves the problem of `printing’ better than the alternatives, given cost/benefit ratios. For some people, Religion also solves `the problems of existence’ better than Science. But only for those people. `One of the things that makes the movies a business of extremes is the way moviegoers dynamically influence one another. If a movie has a big opening, then lots of people will tell other people about it. It will be reported on the evening news as a top-grossing picture. The news or a good comment from someone who liked the movie might influence someone else to go see it. In a crowded market, just getting that kind of attention can separate a movie from the crowd and get it off to a good start. But, it is the way that information spreads dynamically that leads to extreme differences among movies—the big hits do not always open big, but they do seem to be propelled by a recursive and non-linear demand dynamic. The influence of early viewers goes under different names in the economics literature: contagion, network effects, bandwagons, path dependence, momentum, and information cascades are some of the descriptive names attached to these recursive dynamic processes. These models differ in the details, but they are all dynamical processes in which the change in demand depends on demand already revealed just as the spread of a disease depends on the number of carriers who have it. When demand has this dynamical property, initial advantages can lead to extreme differences in outcomes, a property that is at the heart of this business. In an earlier paper we (De Vany and Walls, 1996) showed that box office revenues have a contagion-like property where the week-to-week change in demand is stochastically dependent on previous demand. But, we also showed that there are no guarantees. A big opening of a bad movie can be like a virulent disease that kills off its hosts so quickly that it fails to spread and dies out. A big opening with a good movie can spread quickly to extremely large revenues, such as when a single movie (Titanic) out of more than 600 releases grosses about one seventh of total world box office revenues. Note how often film effects are compared in the quote above to: characteristics of a virus, which points towards memetics, and virality. (3) the (film) Story is all that matters. `The frightening thing about trying to manage this [film] business is that there are no tangible means to reliably change the odds that a movie will succeed or fail. Marketing can’t change the odds. There is no evidence to show that marketing has much to do with a film’s success. `It would have been hard to imagine at the outset that by applying high-brow mathematical and statistical science we would end up proving [William] Goldman’s fundamental truth that, in the movies “Nobody knows anything”. None of our results is more surprising than finding that hard-headed science puts the creative process at the very center of the motion picture universe. There is no formula. Outcomes cannot be predicted. There is no reason for management to get in the way of the creative process. However there is also perhaps a conflation in the conclusion here. 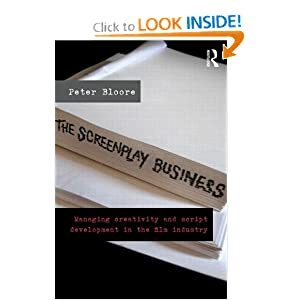 It should be noted that `character’ in this doctoral research study (and customarily in screenplay analysis, as evidenced in Script Assessment Report headings) – is considered a subset of story. 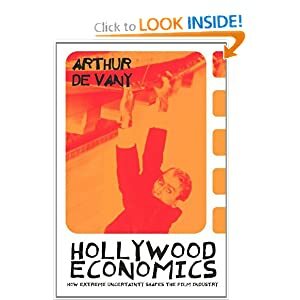 Therefore once we subsume `character’ into story – De Vany’s conclusion is really that creativity and story trump everything else, in terms of determining which factors influence the viral – and therefore commercial – success of a film. Story is all that really matters, in film success. 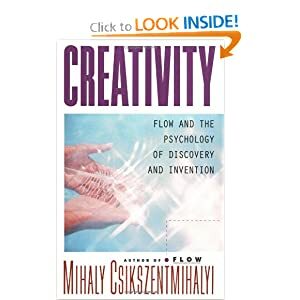 This is indeed the exact reason why this doctoral study primarily focuses on the story in the top 20 and bottom 20 RoI films – though also, the production methodologies and the creative persons behind the films – given that creativity study involves (1) person (2) process (3) product and (4) place. 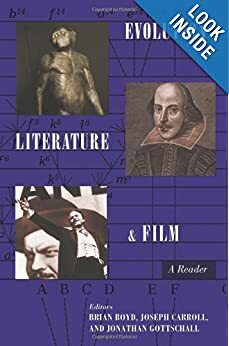 There is therefore certainly no reason to assume that “story” is an unknowable or undefinable entity, and also that successful (or viral) and unsuccessful (non-viral) film stories cannot be examined and compared for their empirical story characteristics. All it takes is for scholars in the domain of film screenwriting and story analysis to empirically analyse it. A film has an overall emotional and intellectual effect on a viewer. If they like the effect, they like the movie. But also some memes (ideas, processes, products) seem to spread further, because they work better at solving problems. But it’s also a cost-benefit ratio. `The first advantage of a biocultural approach to art is that it makes possible a multilevel analysis, incorporating the deep perspective of the evolutionary past, but also focussing on the fine details of the artist’s moments of choice. It can explain art at multiple levels: at the global or species-wide level; at the local level, in terms of historical, political, economic, technological, cultural, intellectual and artistic contexts; at the level of the individual artist or audience member; and at the particular level, the decisions behind composing this or that feature of a particular work, or responding to it for a particular purpose or in particular circumstances. An evolutionary approach can apply this multilevel analysis both to the artistic process, from the origins of art or of a particular work to its reception, and to the worlds represented in artistic works. It will also assume that creatures act in ways they suppose advantageous in composing and responding to art. Artists of any kind will seek to minimize composition effort – by operating within existing artistic modes and traditions, by recombining available models, by adopting readymade subjects – as much as is compatible with maximizing the attention and status a work can earn. Like artists, audiences too seek a favourable cost-benefit ratio. Many seek to reduce comprehension effort for a quick reward: the latest sitcom or Hollywood blockbuster will be easy to follow even if often also easy to forget. Others may prefer more demanding fare that keeps on unfolding slowly in the mind. Problems emerged with life, with the challenge of maintaining a structure complex enough to maintain and reproduce itself. Biologists accordingly see physiological features and behavioural choices as attempts to solve particular strategic problems. A biocultural approach to the arts will analyse an individual artist’s situation in the process of composition as a series of particular problems and solutions. Following on from the discussion above, I suggest that we redefine artists’ primary problem not as expressing themselves or their times, or as trying to convey meanings, but as creating works to maximize audience attention and response – and hence their own status – within the current economy of attention, given their position within this art mode. As in biology, solutions may often be compromises, trade-offs between the benefits of one move and its costs for other parts of the emerging work. And just as in biology old elements provide a ready base for many new designs, as fish fins could become amphibian legs and then bird or bat wings, ape arms or seal flippers, so artists can combine ready-made solutions in new ways to answer new problems. Current practices will incorporate more or less successful solutions to prior problems that can then be improved, recombined or redirected to new problems. And individual artists will each have their own personal problem of capitalizing on the attention their previous work has earned, without boring audiences by merely repeating past successes. The problem-solution model applies not only to artists but to audiences. Selfish gene theory shows that we cannot expect organisms to work routinely for the benefit of others. Audiences will tend to seek the engagement that matters most to them, not necessarily to the artist, and even to appropriate the work in ways the artist did not intend. These may be personal, like a couple selecting a Shakespeare sonnet for their wedding ceremony; or political, like Aimé Césaire’s postcolonial rewriting of The Tempest; or artistic, like Picasso’s appropriation of African masks. But if audiences engage with art to serve their own purposes, not those of the artists, then artists, intuiting this, will often try to make their interests appear to coincide with those of their audience, especially by promoting prosocial or group values, since we all benefit from associating with altruists or from living within thriving groups. The problem-solution model emphasizes individual choice within a specific context. Artists make choices within the unique landscape of their individual preferences and capacities. Biology stresses the depth of individual difference at every level and phase: stable polymorphisms within a species (persistent alternative forms like free or attached earlobes, or bold or cautious personalities); genetic differences (the odds against two humans producing identical offspring in separate conceptions are seventy trillion to one); sensitivity to initial conditions and developmental accident (even identical twins, who begin from the same conception, have different neural folds in their brain by the time of their birth, and hence different synaptic trajectories); neural plasticity which ensures that the microarchitecture of the brain reflects different individual experience; and the individual choice of niches of difference and specialisation that magnify slight initial differences. Not only is each problem situation subtly different, but the individual mental landscape within which each of us searches for answers will have unique contours and preferences. Criticism has lately tended to underplay individual difference in favour of group-level differences like periods, cultures, classes. But not only do individuals differ more within groups than between them, but we are also finely tuned to perceive and respond to individual difference.Personality differences have been found even in invertebrates, as animals as neurologically simple as guppies can detect and act on differences in personality. In assessing others we respond to specific intentions – to the solutions others have reached within particular problem situations – but also to the individuality that shapes which problems and solutions present themselves to which individuals in the first place. We respond not only to the problems and solutions that arise for a Caravaggio, a Rembrandt or a Vermeer, but to the individual differences, the unique inclinations and associations, that mean each explores a unique landscape of choice. (4) a sensitivity to individuality in shaping an artist’s problem-solution landscape even before conscious intentions emerge. The preceding discussion leads us to view the mind as a crowded network of evolved, domain-specific programs. Each is functionally specialized for solving a different adaptive problem that arose during hominid evolutionary history, such as face recognition, foraging, mate choice, heart rate regulation, sleep management, or predator vigilance, and each is activated by a different set of cues from the environment. But the existence of all these microprograms itself creates an adaptive problem: Programs that are individually designed to solve specific adaptive problems could, if simultaneously activated, deliver outputs that conflict with one another, interfering with or nullifying one another’s functional products. actions, computations, and physiological states. It is difficult to sleep when your heart and mind are racing with fear, and this is no accident: Disastrous consequences would ensue if proprioceptive cues were activating sleep programs at the same time that the sight of a stalking lion was activating ones designed for predator evasion. To avoid such consequences, the mind must be equipped with superordinate programs that override some programs when others are activated (e.g., a program that deactivates sleep programs when predator evasion subroutines are activated). that each component assumes one of several alternative states (e.g., predator avoidance may require simultaneous shifts in both heart rate and auditory acuity). Again, a superordinate program is needed that coordinates these components, snapping each into the right configuration at the right time. We have proposed that emotions are such programs (Cosmides & Tooby, 2000b; Tooby, 1985; Tooby & Cosmides, 1990a). To behave functionally according to evolutionary standards, the mind’s many subprograms need to be orchestrated so that their joint product at any given time is functionally coordinated, rather than cacophonous and self-defeating. This coordination is accomplished by a set of superordinate programs: the emotions. On this view, emotions are adaptations that have arisen in response to the adaptive problem of mechanism orchestration. This view implies that the exploration of the statistical structure of ancestral situations and their relationship to the mind’s battery of functionally specialized programs is central to mapping the emotions because the most useful (or least harmful) deployment of programs at any given time will depend critically on the exact nature of the confronting situation. behavior, and the body adaptively through the clusters of conditions, demands, and contingencies that characterized that particular class of situation. These functions could be accomplished by engineering superordinate programs, each of which jointly mobilizes a subset of the psychological architecture’s other programs in a particular configuration. Each configuration would be selected to deploy computational and physiological mechanisms in a way that, when averaged over individuals and generations, would have led to the most fitness promoting subsequent lifetime outcome given that ancestral situation type. This coordinated adjustment and entrainment of mechanisms is a mode of operation for the entire psychological architecture and serves as the basis for a precise computational and functional definition of each emotion state. Each emotion entrains various other adaptive programs—deactivating some, activating others, and adjusting the modifiable parameters of still others—so that the whole system operates in a particularly harmonious and efficacious way when the individual is confronting certain kinds of triggering conditions or situations. The conditions or situations relevant to the emotions are those that (1) recurred ancestrally, (2) could not be negotiated successfully unless there was a superordinate level of program coordination (i.e., circumstances in which the independent operation of programs caused no conflicts would not have selected for an emotion program and would lead to emotionally neutral states of mind), (3) had a rich and reliable repeated structure, (4) had recognizable cues signaling their presence,9 and (5) an error would have resulted in large fitness costs. When a condition or situation of an evolutionarily recognizable kind is detected, a signal is sent out from the emotion program that activates the specific constellation of subprograms appropriate to solving the type of adaptive problems that were regularly embedded in that situation and deactivates programs whose operation might interfere with solving those types of adaptive problems. Programs directed to remain active may be cued to enter subroutines that are specific to that emotion mode and were tailored by natural selection to solve the problems inherent in the triggering situation with special efficiency. According to this theoretical framework, an emotion is a superordinate program whose function is to direct the activities and interactions of many subprograms, including those governing perception, attention, inference, learning, memory, goal choice, motivational priorities, categorization and conceptual frameworks, physiological reactions (e.g., heart rate, endocrine function, immune function, gamete release), reflexes, behavioral decision rules, motor systems, communication processes, energy level and effort allocation, affective coloration of events and stimuli, and the recalibration of probability estimates, situation assessments, values, and regulatory variables (e.g., self-esteem, estimations of relative formidability, relative value of alternative goal states, efficacy discount rate). Finally, how many emotions are there? At least 27. Also see what Harari says emotions are, in Homo Deus (2017), here (namely: calculations of probabilities) at the 23 – 31 mins mark, here. Some readers will now be asking: “But – what about: the indefinable `X-Factor?” This entire (StoryAlity) thesis is based on the premise (and argues, with evidence) that there is no `indefinable X-Factor’ in film success: the combination of the creative person, their creative process, their creative product and place – viewed through the lens of Creative Practice Theory (which includes the Systems Model of Creativity) defines and explains: everything about film success, as best as that phenomenon can currently be examined and analysed. The opposite view – that there is indeed some indefinable `X-Factor’ is a Romantic view of Creativity – for which, no empirical evidence exists. To assume that there even are `indefinable X-Factors’ leads us directly back to: “Nobody Knows Anything” which is the clear enemy of the academic and scientific enterprise, and must be exploded and exorcized if film success is ever to be explained and understood in ways that are useful for cultural practitioners.